Bougainville’s cocoa industry will be expecting a huge boost following the recent announcement by the ABG Minister for Primary Industries Honorable Nicholas Darku, on the Inaugural Bougainville Chocolate Festival. The event which is a first of its kind in the autonomous region will be held in Buin and Arawa from the 4th to the 8th of July this year. Minister Darku says this project aims to encourage good cocoa farming practices, while at the same time, raise awareness of the efforts put in by the ABG and its stakeholders to develop this industry. 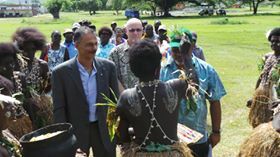 It will also give Bougainville the chance to showcase its cocoa farmers to the international chocolate community and create opportunities to build better market links. “The cocoa industry represents the economic sector with the greatest immediate growth potential in the Autonomous Region of Bougainville. It can, and will into the near future, provide for sustainable rural employment, generation of government revenue and contribute to household incomes and improved livelihoods”, he said. One of the highlights of this event will be the Chocolate Competition which involves international judges tasting and providing feedback on chocolate made from Bougainville Cocoa. 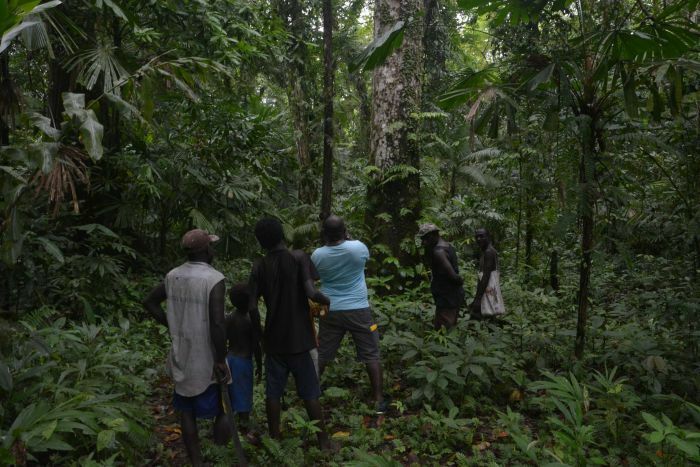 “Growers from across Bougainville- twenty from each region, North, Central and South will be invited to submit twenty kilograms of dried cocoa beans, and each sample will be made into chocolate by Paradise Foods. Chocolate samples will then be distributed to the judges well in advance of the festival to enable a thorough appraisal and judging”, explained Minister Darku. There will also be agricultural showcases, business stall displays and entertainment during the three day festival. 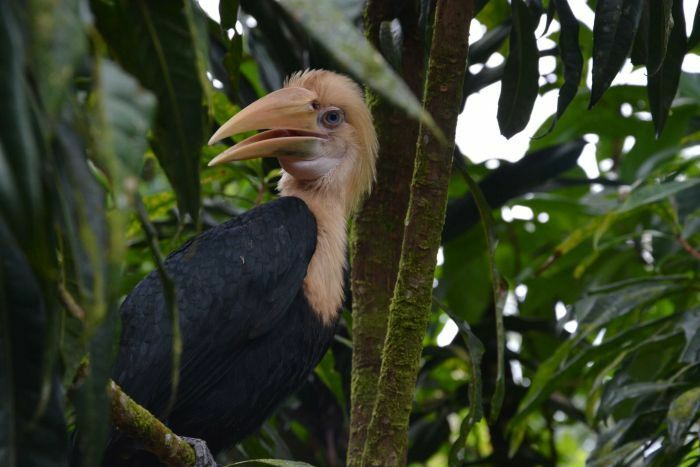 The opening of the Primary Industries Field Station in Buin will also coincide with this event. 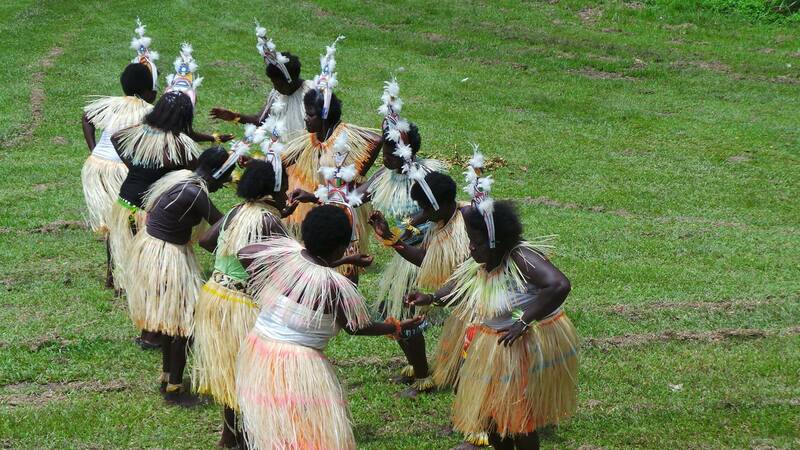 This festival is an initiative of the Autonomous Bougainville Government, led by the Department of Primary Industries in partnership with the Australian government. 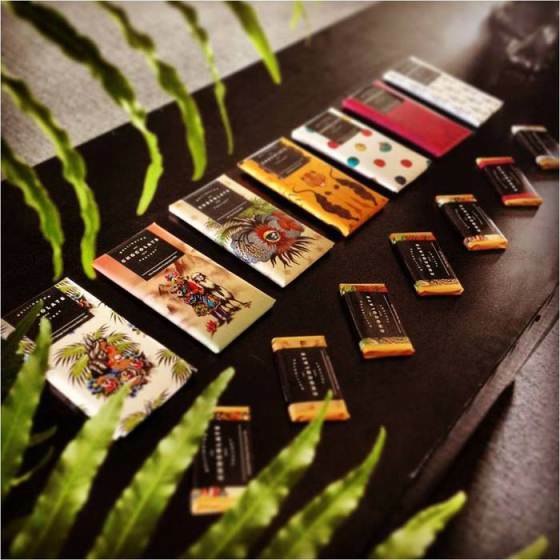 A voyage to make a unique artisan chocolate bar and a better tasting world. This is the new chocolate revolution. We’re going to bring them together and help make a better tasting world. We are Gabe Davidson & Rochelle Harrison, co-founders of New Zealand’s Wellington Chocolate Factory, and international development worker Sera Price. We’re going to make a delectable artisan chocolate bar with rare cocoa beans from Bougainville, a South Pacific region devastated by civil war. 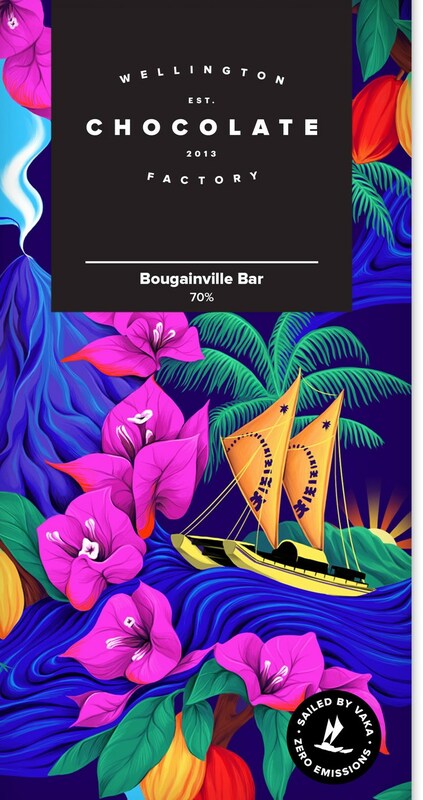 The bar itself will be a unique taste experience of the highest quality: the voyage of making it will connect us and you with a cocoa-farming legend, a better way of doing business, and a sailboat journey across the mighty Pacific. Plus you can get chocolate! 1. Upgrade a South Pacific cocoa plantation– a farming community in Bougainville, led by legendary grower James Rutana, will be able to improve their drying sheds and grow a high-quality crop of unique Criollo varietal cocoa. 2. 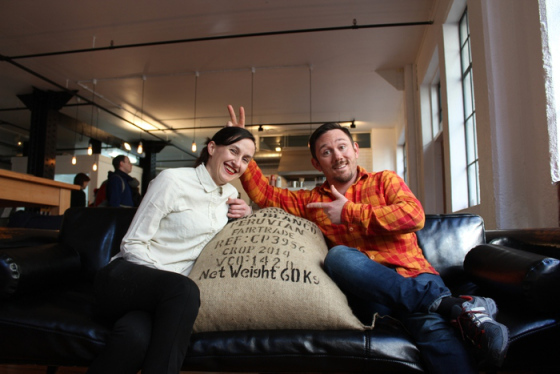 Buy a tonne of beans– literally. The Wellington Chocolate Factory will purchase 1 tonne of the resulting bean crop at a fair, premium price. 3. Sail the sparkling seas– in the tradition of legendary ocean voyages and historical trade routes, we will transport the beans from Bougainville to Wellington harbour ourselves via sailing ship! 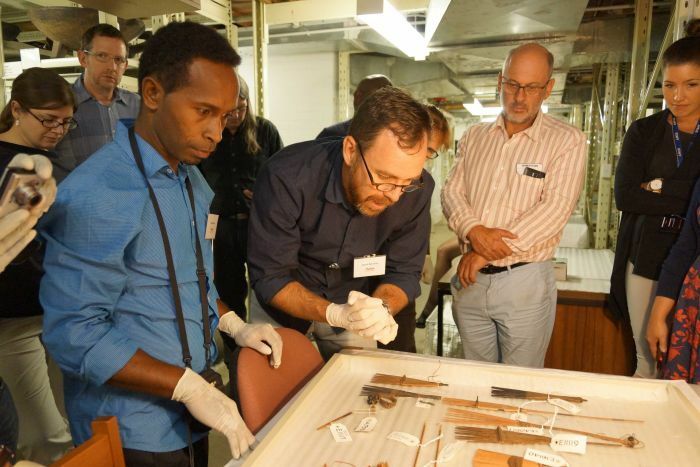 Supporting Bougainville and a local legend– recovering from a 10 year civil war, the Autonomous Region of Bougainville in Papua New Guinea is trying to develop its own economy and future. 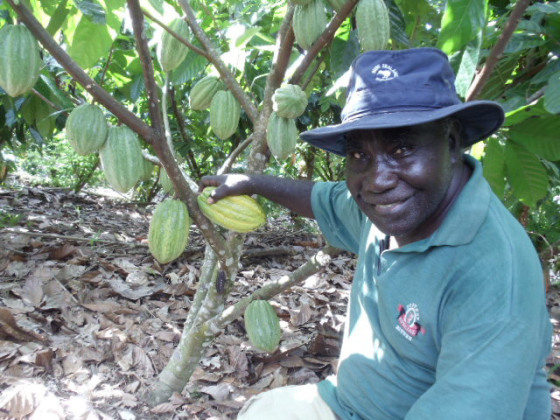 James Rutana helped build Bougainville’s cocoa industry only to see it get destroyed by war and neglect. He is committed to rebuilding and we want to help him. Making truly great food– the Wellington Chocolate Factory are a values driven company who make highest quality bean-to-bar chocolate. You’ll be invited into our world and get to share the inside story of creating the Bougainville Bar. Then you’ll get your very own bar to try or share or hoard! 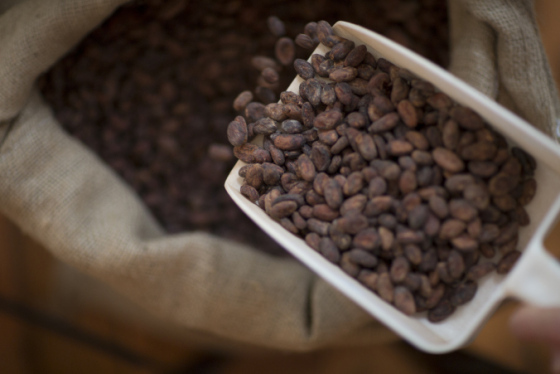 Nurturing unique cocoa varieties– rare and unique cocoa varieties are being lost to the dominance of lower value industrial strains. We’re encouraging farmers to grow higher quality crops and earn a premium price for their effort. Doing it by sailboat!– Sailboats are fun and romantic in all the right ways, and there is a proud tradition of great Pacific sea voyages throughout history. Imagine being in Wellington Harbour as the first sail-driven shipment of cocoa beans in over fifty years arrives. If you’re super-keen, imagine coming on the boat with us! What’s the Wellington Chocolate Factory? We’re snuggled in the heart of Wellington city in New Zealand. We have 11 staff and are open to the public. We make organic, ethically traded, bean-to-bar chocolate of the highest quality. We want to help put Bougainvllle cocoa back on the map! Making the world class artisan Bougainville Bar will help shine a positive light on the region’s potential, and demonstrate that this is a great place to work and do business. “The loss of a member of a family, especially the head of a family is a painful and devastating experience for any family, in any family anywhere. The loss of a leader among us and in our midst when there is still so much to be done is untimely. The loss of good, honest and committed national leaders mandated by popular choice in democratic and free elections such as we have and value in this Region and in the country, is a tragic loss. On Wednesday 03 March 2016 the casket containing the remains of the late Hon Steven Pirika Kamma MP was laid before the House of Representatives at Kubu, Buka, the Autonomous Region of Bougainville. The casket was accompanied on two flights from Port Moresby to Buka by a parliamentary delegation led by the Speaker of the PNG National Parliament Hon Theodore Zurecnuoc. In the delegation were also United Resources Party stalwarts led by Member for Usino Bundi (Madang) Anthony Yagama MP. Stephen Kamma was a loyal member of the Party. The Speaker Hon Simon Pentanu MHR led the tributes for and on behalf of the House of Representatives and members of the House. 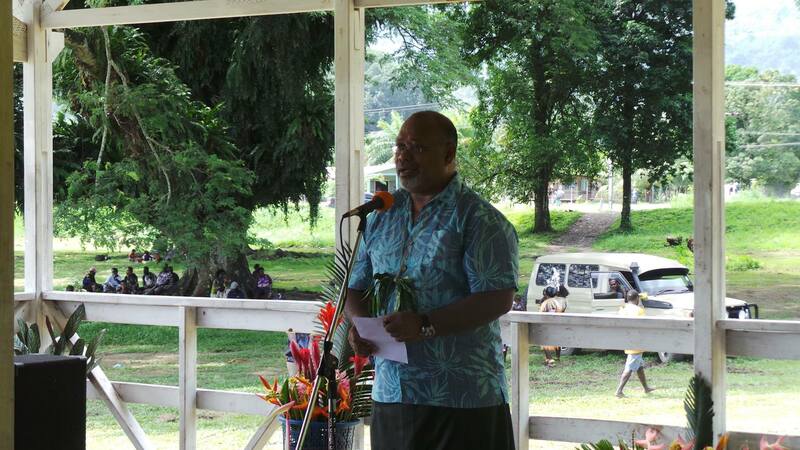 The President, Hon Chief Dr John Momis MHR also paid tribute on behalf of the People of Bougainville. The casket with the remains of the late Stephen Kamma was formally handed to ABG in a short speech on the floor of Parliament by The Speaker of the PNG National Parliament. Following is a Tribute given by Speaker Simon Pentanu MHR in the House of Representatives. The Hon the President, and Hon Members of the House of Representatives. The loss of a member of a family, especially the head of a family is a painful and devastating experience for any family, in any family anywhere. 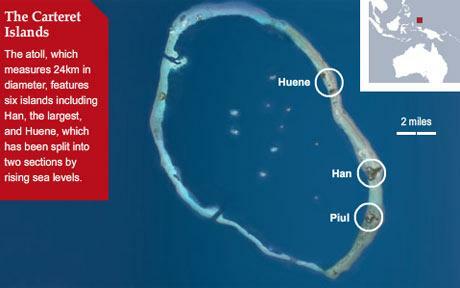 AT ALL THESE TIMES AND MORE, I dare say that death is a cheat on Bougainville. Your life is a priceless gift to you. You cannot re-invent it. You cannot recreate it. You cannot copy it. You cannot clone yourself. Your Life is a gift from God. From Nature. From the Universe. From Mumira. From Tantanu. From Sunahan. Kumponing. All you have do is be mindful and look after it, take care of it. We must all spend some down time on our Health and Wellbeing. This is a message we must all store and carry in our hearts and minds as leaders all the time. It is your duty of care to do so. 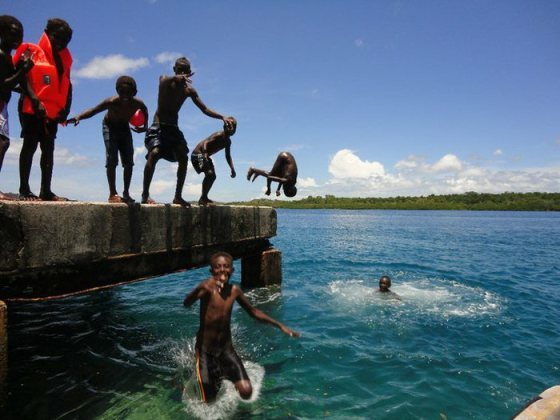 We owe this to the people who elected us to represent them as we go about our responsibilities to rebuild Bougainville. The state of any nation, any country is judged not only by its wealth and avarice but by the health of its citizens, especially its leaders. AS we mourn the passing of the late Hon Steven Pirika Kamma and as the people of South Bougainville and the rest of Bougainville realise and acknowledge he will no longer be with us, it is a time too that we look back at his personal achievements and his marks and contributions in life. This is also an occasion we pay tribute to the late Member’s life and recognise his successes, contributions and the legacy he leaves behind. Stephen Pirika Kamma had a lot of heart and spent a lot of effort to go ahead in business. He had a lot of heart and worked hard to get into national politics. He did very well on both scores. Steven also had a lot of heart and faith in himself that it was his responsibility to work hard for his family so they could get ahead in life. He also did very well on this score. The late Stephen Kamma faced up to and moved on from the Bougainville crisis to gather himself in Rabaul, East New Britain province. A devastating natural disaster, the volcanic eruptions in Rabaul in September 1994 was another blow to his budding business. But instead of dwelling on the misfortunes, this gave him more determination to lead his family from the front, and not complain and make excuses to fold up. Through all of this and at all times Stephen maintained his family intact. With an eye for opportunities and contempt for failure after the hard years at home and a natural disaster in Rabaul the late Stephen Kamma headquartered his signature business in pest control in Port Moresby. I believe from sharing times and moments together as a good friend that it was his control at the helm and determination move on and his personal trials and tribulations in the face of adverse and un-mitigating disasters that made him thinking about public life in politics. The late Steven’s idea of politics was driven not necessarily by the notion of representation of people per se but rather by his idea that a representative is chosen, among other things, to bring about practical, visible and tangible results competing in an arena where leaders are vying for resources and where a leader’s worth and ability is judged often by what developmental changes and improvements he or she can effect to the lives and well-being of the people. This country is a very rural society where the majority of our people still live in villages. The best evidence of a meaningful link by an elected leader in many ways is a residence among one’s community in the village. The late Mr Kama had a home in his village in his community where he spent considerable time, relatively speaking, with his people. His record of contacts, links, discussions and offers of advice to the President, some Ministers and members of this House, especially from south Bougainville is a record he can be justifiably proud of as a national MP. His presence and visits and projects is what did the talking for him. On the ground in Bougainville as well as in Port Moresby from to time his direct approach to our President on many occasions when matters of interest to Bougainville needed to be explained or when differences and confusion between Kubu and Waigani needed moderating the Hon Member often appeared when he would make the judgment that his help and arbitration was called for to maintain dialogue between the National Government that he was an integral part of and ABG leadership. His quiet interventions did not always become news stories. The late Hon Member always keenly followed the ABG elections and the formation of Governments after elections on the ground in the Region. To this end he maintained contact with members from his region and electorate in the south. This House recognises and places on record its grateful appreciation of the service and duty of the late Honourable Member as one of the 4 elected Members in the National Parliament. Under the provisions of the Bougainville Constitution our 4 Bougainville MPs in the National Parliament are also Members of this House. Stephen Kamma, you are laid on the floor of this House as a member of the House. It is not only right but also fitting that this is the case because while our three national MPs each represent the three regions and the regional members represents the whole island, collectively you all represent the People of Bougainville. The honourable member passed away in office as a Minister of State. Despite issues with his Health the Steven Kamma never winced or blinked his eyes about the duties and responsibilities of a Minister. He stayed on the crease batting to the last innings without getting out. There is no doubt he wanted to see his second term in Parliament right through to the end. Unfortunately this was not to be. While some people may criticise this, the late Minister always kept in touch and abreast and still took decisions right to the end. 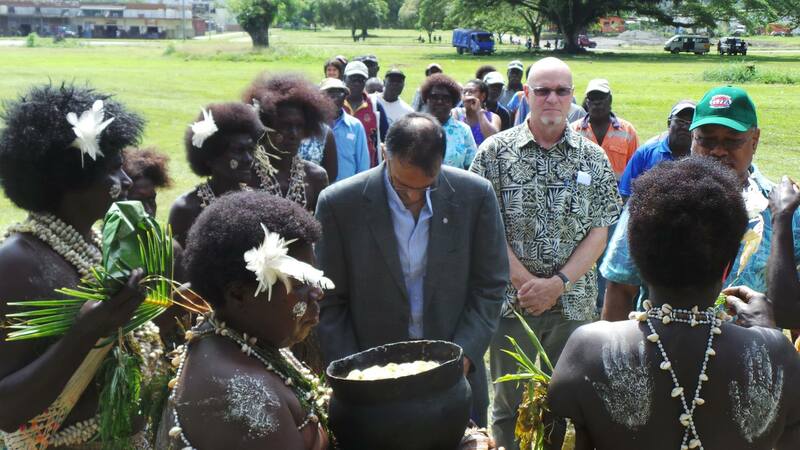 He valued and knew that two voices for Bougainville in Cabinet was better than one. He was loyal to the Government he was a part of. He was a loyal member of his Party. The Hon late Stephen Kamma is the first Bougainvillean since elections started in PNG in 1964 and since Independence in 1975 to die in office as a serving member and Minister of State. 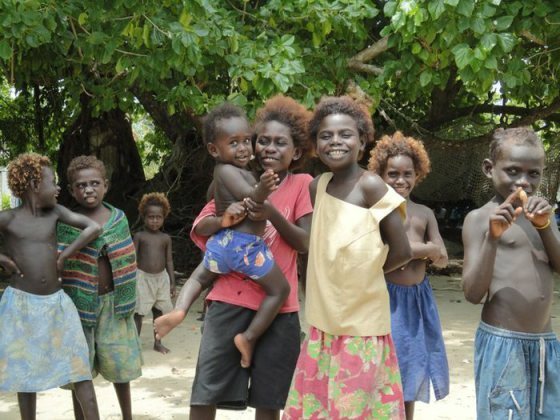 We have lost a self-made businessman, a proud Siwai entrepreneur like many other Siwais that are the heart-throb of business and commerce in many areas in Bougainville. He was a kind hearted philanthropist to those that he helped and that knew him well personally. He found assurance and confidence with his peers in Parliament regardless of the changing and tumultuous times PNG is going through . 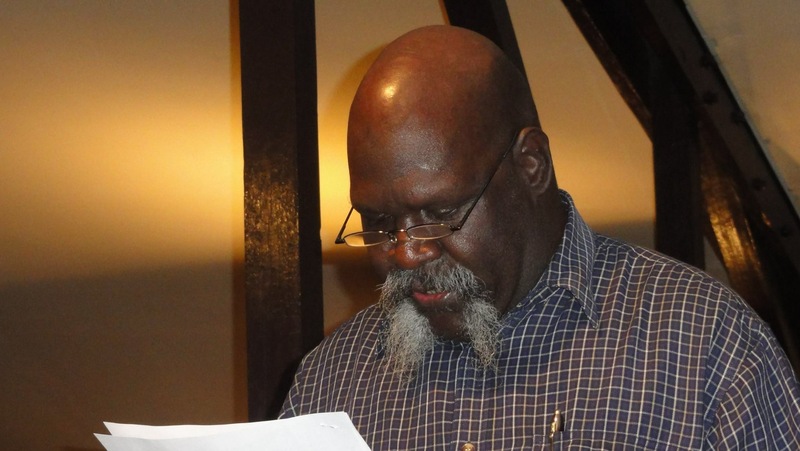 Bougainville has lost a leader, a proud carrier of our mantle at the national political level. 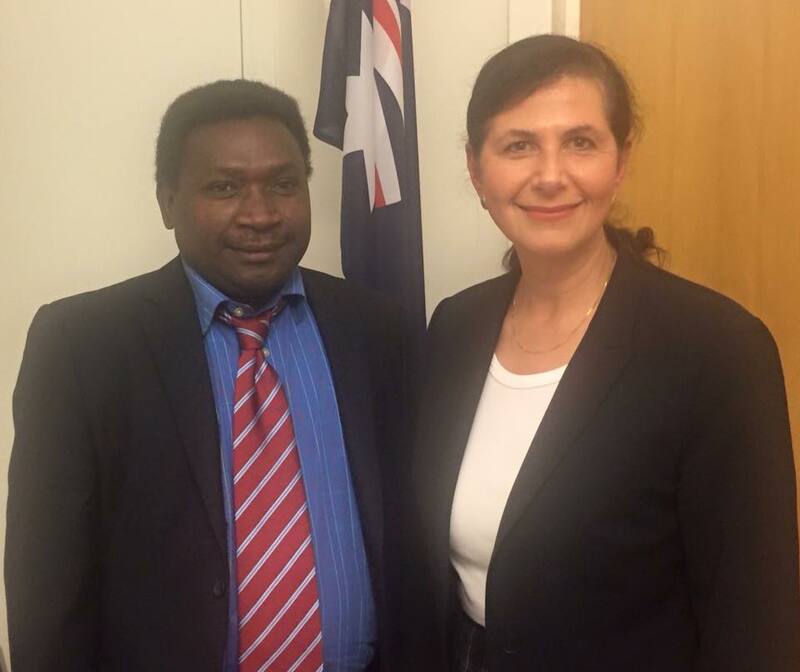 Hon Stephen Kama is a big loss to Bougainville at a time we can least afford to lose our elected leaders. This House extends its deepest sympathy and condolence to the family of the late Steven Kama, Anna and her children Michael and Pamela and their adopted children at this difficult time in their bereavement. You have a lost a loving husband and father. To conclude, may I on behalf Members assembled here this morning and the People of the Autonomous Region of Bougainville offer our sincere thanks and appreciation to you, the Hon Speaker of the PNG National Parliament and your delegation for accompanying the remains of the late Honourable Stephen Kamma and gracing us with your presence on this occasion. Thank you for handing him back to Bougainville, especially to his people in south Bougainville through this House. 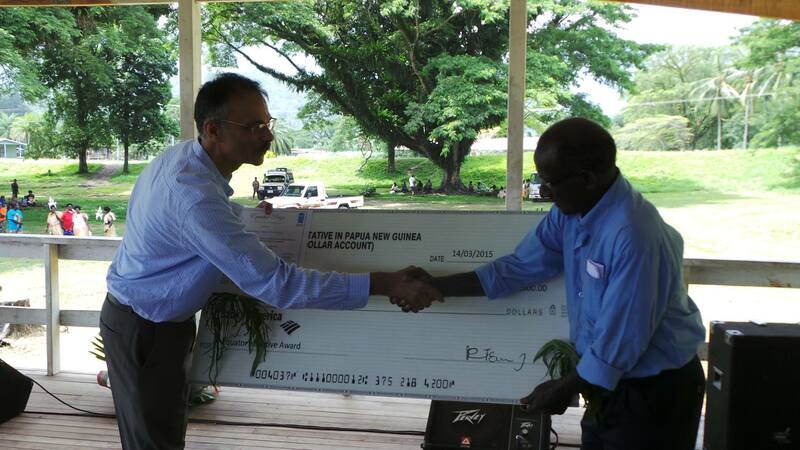 The head of the United Nations Development Program (UNDP) in Papua New Guinea, ROY TRIVEDY last Saturday presented the EQUATOR AWARD to a local Bougainville NGO, TULELE PEISA at the Arawa Independence oval. The Equator Prize was for their community driven resettlement project for the Carteret’s islanders. In his speech at the ceremony in Arawa, MR. TRIVEDY praised TULELE PEISA INC for their outstanding efforts in resettling the first Climate Change refugees in the world voluntarily.